Surface protectants are a popular car care product, partly because of their name. Car owners hear the word “protectant” and assume that it will protect their car from anything short of an accident or a meteor strike. While surface protectants are an important part of a full service car wash, it’s important to understand what they do and what they don’t do. It may help to compare them to skin care products. Sunscreen protects the wearer from UV rays but not from broken bones. Bug spray may keep the mosquitoes away, but it won’t do anything to repel a cut or abrasion. Similarly, surface protectant isn’t an impenetrable coat of armor that protects a car’s paint job from all assaults. It has a specific job to do, and it does it well. Surface protectants really can act as a sunscreen. Sun exposure can fade and dull a car’s paint. Surface protectant forms a chemical barrier to filter out those harmful UV rays. Surface protectants make washing easier. The polymer barrier they form makes it more difficult for contaminants to bond to the paint’s surface. 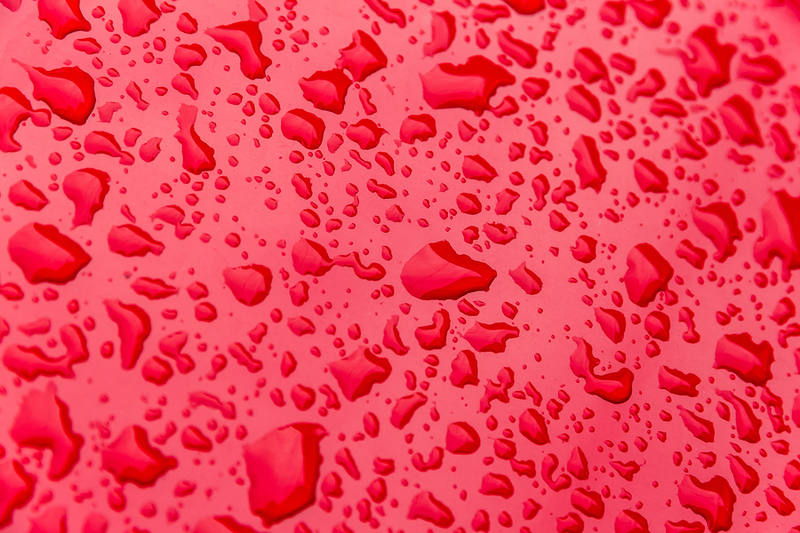 Surface protectants repel water, causing it to bead on the paint’s surface. Without protectant, the damage caused by rain can go beneath that top layer of paint. In addition, bird droppings, pollution, and acid rain can leave behind residue that can cause damage even if the car doesn’t look dirty. Surface protectant can prevent that residue from coming in contact with the paint job. Surface protectants add shine and gloss, improving a car’s appearance. Surface protectants can also help prevent brake dust from the wheels collecting on the car’s paint. Surface protectants form a chemical barrier, not a physical one. While they may indirectly prevent scratches by making it easier for contaminants to be removed during a car wash, they won’t protect against scratches directly. If something sharp or abrasive comes in contact with a car that has been treated with surface protectant, that car will still wind up with a scratch. Even the best surface protectant isn’t a bullet-proof vest. Fortunately, there are a number of things car owners can do to help prevent scratches, starting with a regular, full service car wash done by the professionals. While it’s important to use a quality surface protectant— such as the one used in Mr. Clean Car Wash’s Signature Shine Wash—the best way to protect a car’s paint job from scratches is to keep it free of grit, grime, and other contaminants. In addition, studies have shown that at-home car washes are much more likely to cause microscopic scratches than professional, automated car washes. So don’t feel bad about not washing your car at home. Stop by Mr. Clean Car Wash today to learn more about our full service car wash.